We at VegfestUK have just finished off a vegan megafest at Olympia London visited by around 13,500 people and we're now back on our feet moving onto our next event which is Vegfest Scotland in December! 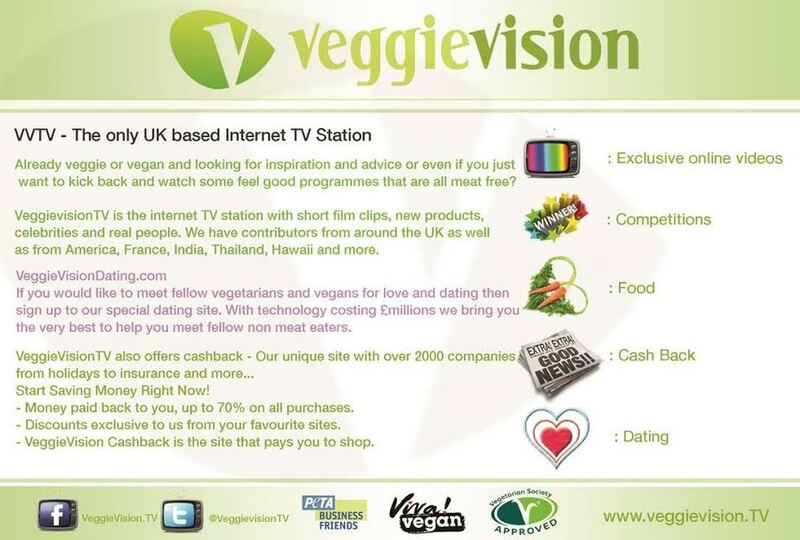 There're plenty of captivating news stories to bring you in the UK vegan community so without further ado let's begin! Visitors to Olympia London on the weekend October 22nd 23rd 2016 enjoyed a sumptuous and uplifting time at the VegfestUK London vegan festival, with a series of amazing vegan food, speakers, performers and other entertainment keep everyone informed, enlightened and entertained! 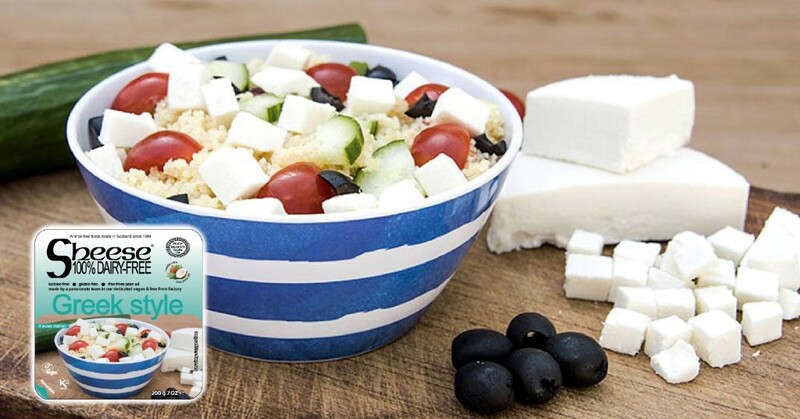 Around 15,000 people (13,500 visitors and 1,500 people working at the event) were at this hugely growing vegan lifestyle festival, which has become one of Europe’s biggest and most attractive vegan events and entered its 4th successive year at Olympia London. 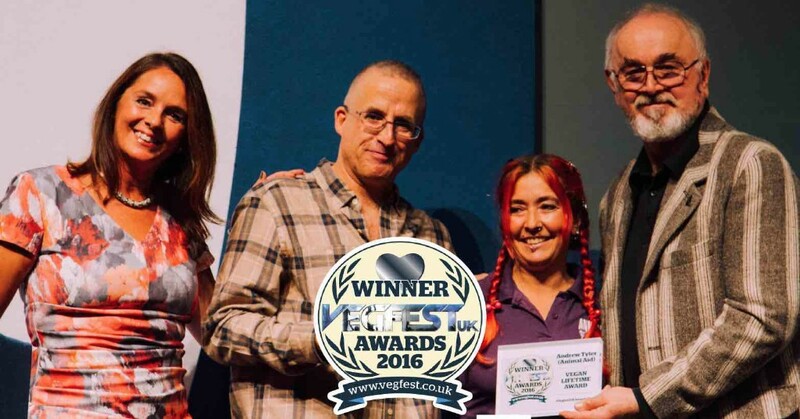 Many congratulations to all the winners of the VegfestUK Awards 2016! The awards were presented by show manager Tim Barford and presenter Karin Ridgers of VeggieVision alongside special guest Peter Egan, in the Auditorium at Olympia London Conference Centre on Saturday October 22nd 2016. The awards celebrate the best of vegan lifestyles with altogether 16 categories and 10 nominees in each category. VegfestUK London was more popular than ever in 2016. Amid the hustle and bustle, Vegetarian for Life’s Mature Zone was a popular destination. Despite a number of boxes of our literature going astray in transit, an increasing number of visitors visited us and enjoyed spending time in the Mature Zone. 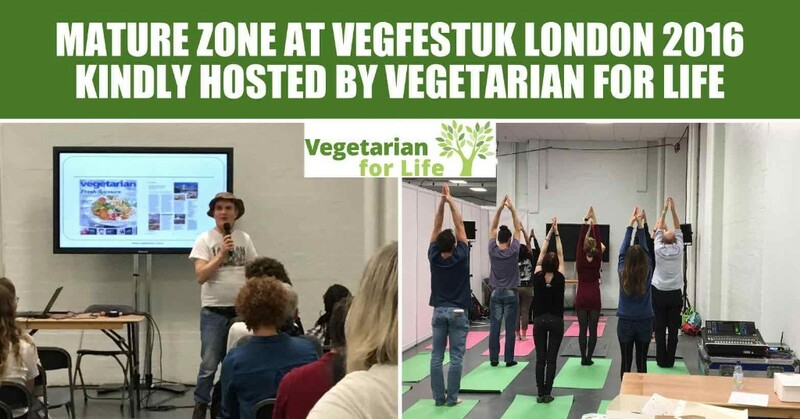 Managed by the charity Vegetarian for Life (VfL), the Mature Zone is becoming a popular feature at VegfestUK events. It offers a space for senior visitors to enjoy a cuppa and listen to one of many fascinating talks. In London, it was also an opportunity for many people to find out for the first time about how the charity works to improve the quality of life for older vegans and veggies. For many visitors this was a thought-provoking subject, and the first time they had thought about how their vegan diet would be respected in later life if other people were caring for them. Exciting news! 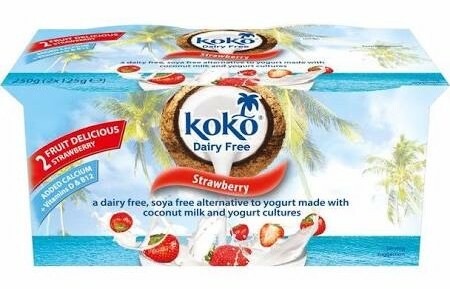 Three flavours of Koko Dairy Free’s delicious range of dairy free yogurt alternatives will be available in Tesco from 24th October following a successful launch in Asda, Morrison’s, Ocado and the independent health food trade. Customer reaction to the new range has been extremely positive and with the UK’s largest retail chain taking the strawberry, plain and coconut and lemon variants it will be much easier for vegans to get their fix of these tasty yogurt alternatives. 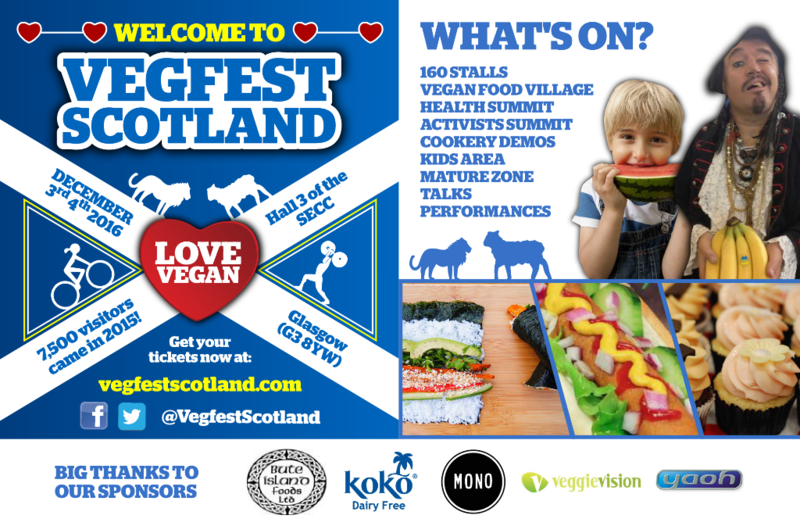 As the hunger and demand for healthy and ethical lifestyles continue to grow across the planet, Scotland is set to embrace a whole new world of healthy living and cruelty-free vegan lifestyles at its second Vegfest on December 3rd and 4th in Hall 3 of the prestigious SECC in Glasgow. 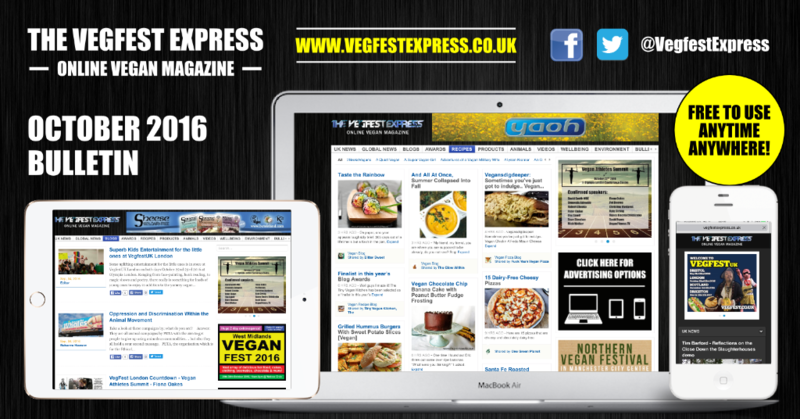 Vegfest has organised huge vegan shows in Brighton, Bristol and London with a 14 year track record of attracting big crowds in the region of 10,000 – 20,000 visitors per show, making VegfestUK some of the biggest vegan festivals in Europe. Its success stems from seamlessly combining food and education with features such as the kids area and live music, which makes health and ethics accessible to not only health enthusiasts and animal lovers, but also festival goers and those just looking for a top day out with their families. 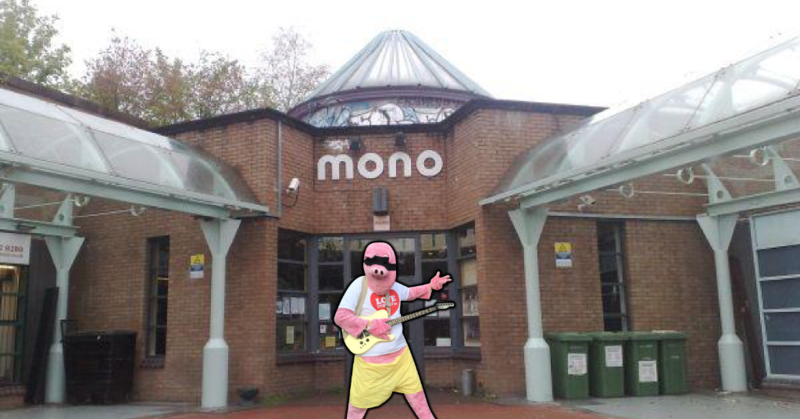 Mono Cafe Bar - recently awarded the highly prestigious Glasgow's Favourite Business award – will be celebrating World Vegan Day on November 1st 2016 with their guest of honour Pig Freud, a pink fluffy cartoon pig famous for his vegan activism and occasional guitar playing. In the run-up to the huge Vegfest Scotland event at the SECC on December 3rd 4th 2016, which sees a massive celebration of vegan food and lifestyle options, Pig Freud has launched a justice-for-all campaign with billboards around Glasgow during November, and he's thrilled to be invited to help celebrate with Mono and promote a vegan way of life that ensures respect for all living beings, be they humans or animals. Pig Freud is currently scheduled for performing a few favourite tunes live at the top vegan bar Mono in Glasgow on World Vegan Day November 1st, to celebrate Mono scooping the prestigious Glasgow’s Favourite Business Award recently. You can catch Pig Freud’s LIVE performance on his Facebook page www.facebook.com/pigfreud at 3:00pm BST on World Vegan Day November 1st 2016. 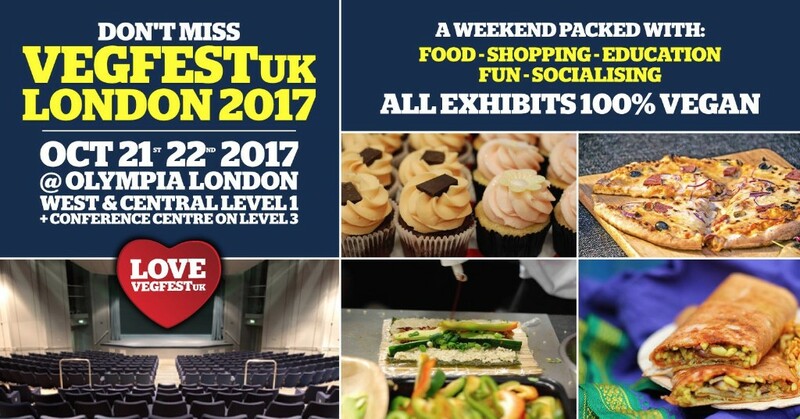 VegfestUK organisers have announced dates for VegfestUK Trade 17 - and the UK’s first dedicated vegan trade and media show is to be held at Olympia London on October 20th 2017. VegfestUK Trade 2017 will see around 200 stallholders with all the cutting edge vegan products coming onto the market, and the organisers anticipate an attendance of around 2,000 trade buyers and media representatives. 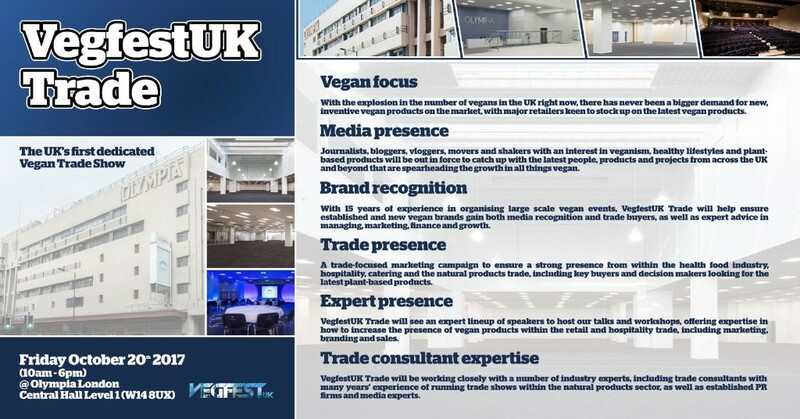 Although there has been a strong trade and media element to VegfestUK consumer shows in previous years, and indeed at other high profile vegan events globally, it’s the first time that there has been an actual dedicated vegan trade event, where only trade buyers and media will be present. 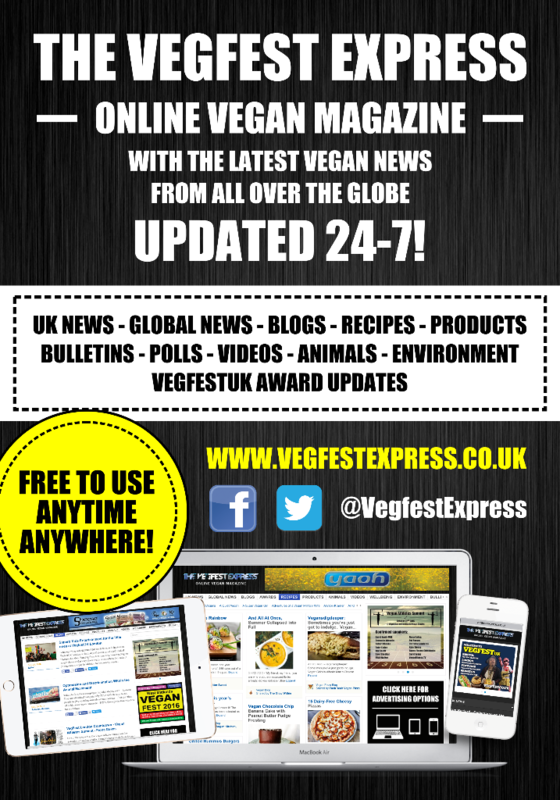 VegfestUK, organisers of some of Europe’s biggest vegan events, now in their 15th year, have confirmed dates for their 5th annual event at Olympia London on October 21st 22nd 2017.
plus the usual Cookery Demos, Living Raw Zone, Mature Zone, Performances and lots more! 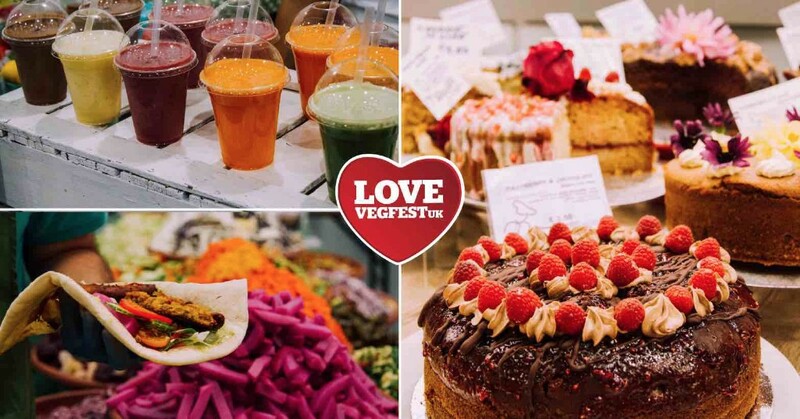 The event is expected to attract 15,000 visitors and up to 300 stalls with a variety of specialist vegan caterers, bars, juice bars, food outlets, health and lifestyle stalls, information and campaigns. 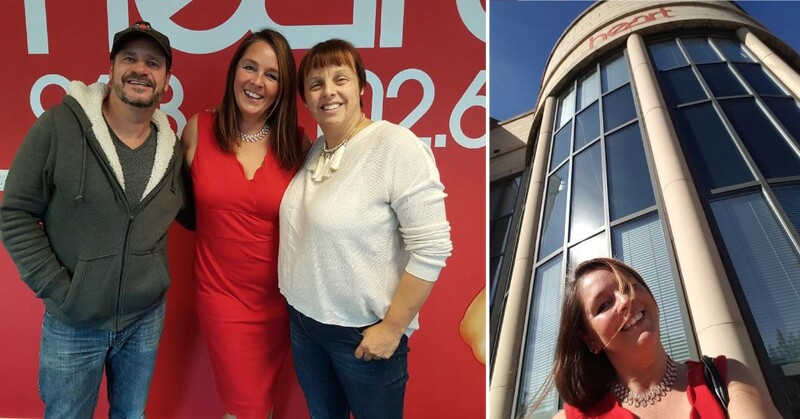 After the biggest radio station in Essex and the biggest radio show – Breakfast with Martin and Su on Heart Essex said a few untoward remarks about being vegan, VegfestUK’s Karin Ridgers headed over to the studio armed with a selection of vegan goodies and an enthusiastic personality to show them that a vegan lifestyle is the best and a plant based diet is healthy, kind and delicious. 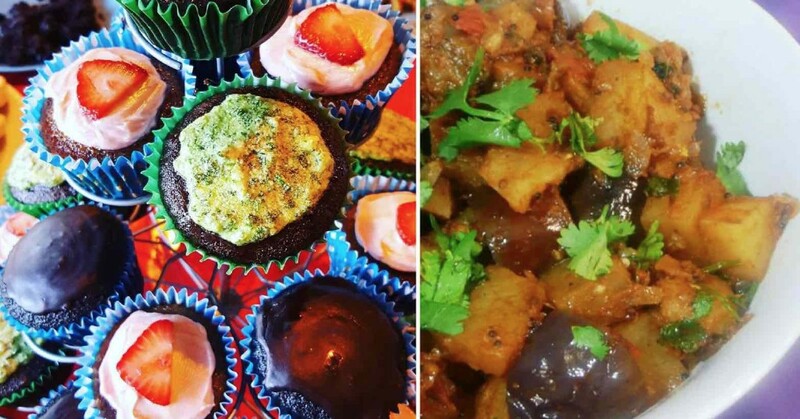 West Midlands Vegan Festival enters 9th year on October 29th 30th 2016 at 2 venues! Midland’s BIGGEST ever Vegan Festival in Wolverhampton is back soon for 2 whole days, on October 29th 30th 2016 at 2 different venues right in the centre of town! With a VAST array of delicious hot & raw food, cakes, ice cream, chocolate, smoothies, clothing, cosmetics, recipe books etc, 160 stalls in total, plus 40 inspiring talks, 10 mouth-watering cookery demos, live entertainment all weekend & LOTS more! 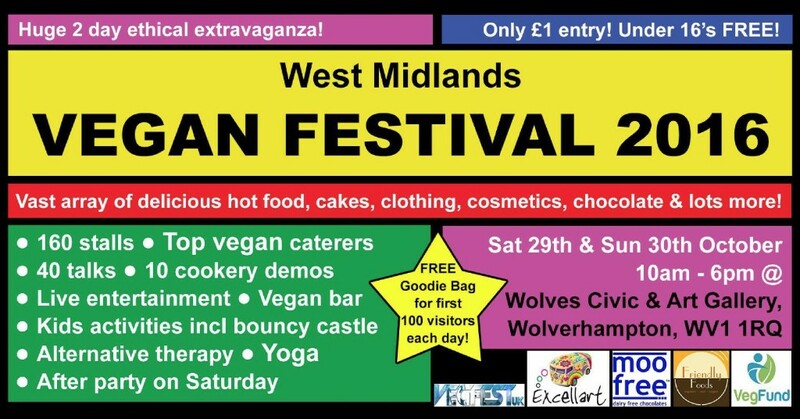 Now in it's 9th year, the West Midlands Vegan Festival is one of the longest running grassroots vegan festival in the UK! 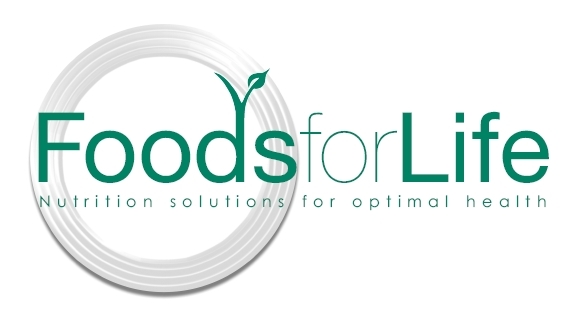 The huge 2 day event will offer all you need for compassionate, healthy, eco-friendly living. You don't have to be vegan to attend, everyone is welcome! Go and see why people are increasingly adopting a vegan lifestyle. 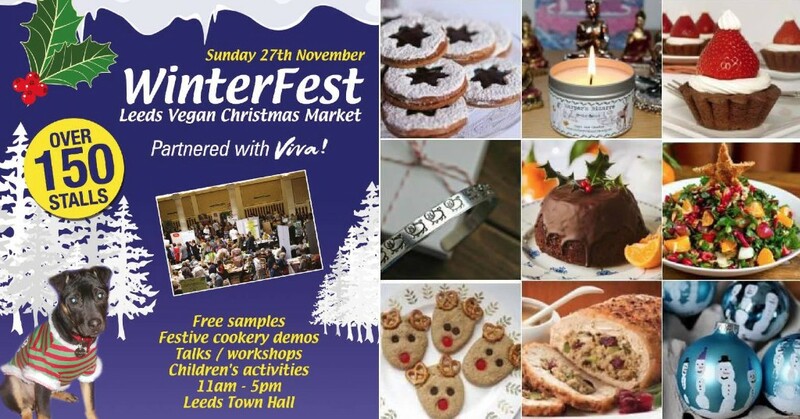 After a vibrant and sumptuous first edition at the Leeds Town Hall in November 2015, the Leeds Vegan Winterfest returns to this traditional event venue this year on Sunday November 27th 2016 with plenty in store and shaping up to be even better than its debut last year! 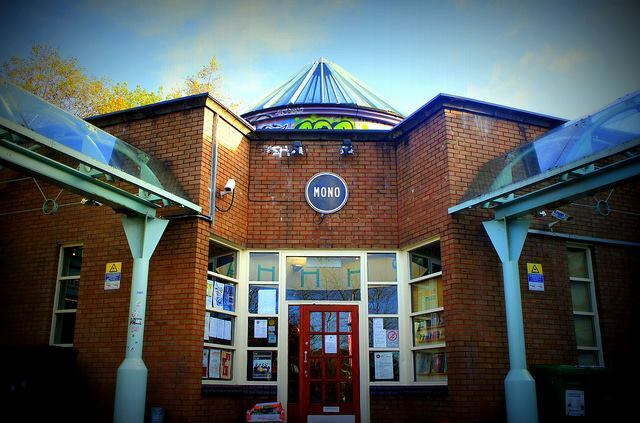 This 100% ethical and vegan Christmas market combines mouthwatering food and superb shopping options for the festive period afterwards with a range of light-hearted and enjoyable activities which will sway a lot of people towards the many delights of veganism and embarking on their own vegan journeys. And with Christmas just shortly after the festival, the festival is perfect timing to do your Christmas shopping as well as learn about the many aspects of veganism on an amazing day out wrapped in festive cheers with your friends and families – perfect launchpad for a vegan Christmas ahead and beyond! 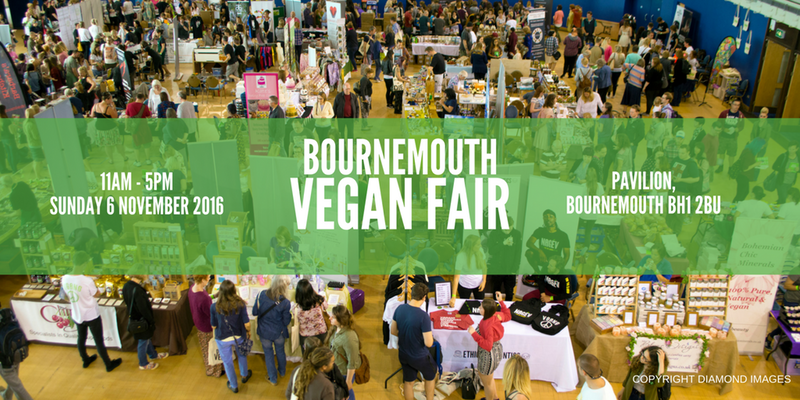 After a successful event earlier in June this year at the Bournemouth International Centre, we at Dorset Vegan are hosting another vegan celebration this time at the Pavilion, Bournemouth during World Vegan Month on Sunday 6th November 2016. Come and indulge in vegan goodies from over 60 fantastic stalls, inspire yourself with talks and films and pick up information on living a more compassionate plant-based lifestyle. You can expect to find everything from speciality chocolate, statement tees, cruelty free cosmetics and make-up and cupcakes to nutritious raw treats, nailcare, handcrafted spice blends, pies and pasties, vegan cheese, superfoods, hotdogs, and so much more! We'll also be joined by a several charities who would love to tell you about how you can get more involved in their valuable work. 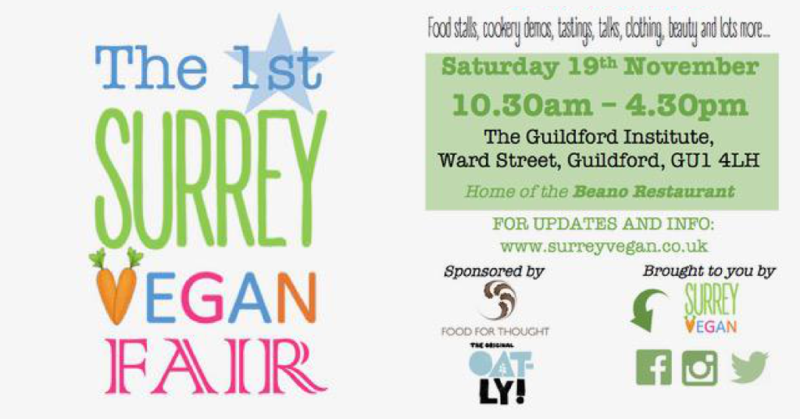 The first Surrey Vegan Fair is taking place in the heart of Guildford at The Guildford Institute on Saturday 19th November. The Institute is the home of The Beano restaurant where Emma and her team will be laying on a wide range of amazing vegan food all day. Expect to find a variety of stalls selling vegan food, clothing, dog treats, skincare, household products and much more. There will also be cooking demos, some inspirational talks and short videos alongside some food tasting. 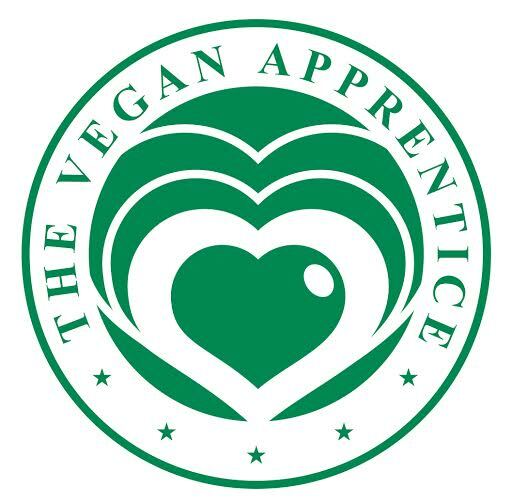 Absolutely Fabulous Vegan Festival are thrilled to be back at the Paget Rooms in Penarth, 30 October at 11:00–16:00. This is a fabulous venue with loads of amazing vegan food and drinks in store for a vegan-hungry crowd! Fabulous Hall downstairs – with Juice & Smoothies Bar as you come in. Downstairs: Cold Food - Savouries - Cakes - health - Fitness & Beauty Stalls - teas & coffees. Please telephone Sue 02920 709292 to book a stall at this fab venue. All food served must be 100% vegan. 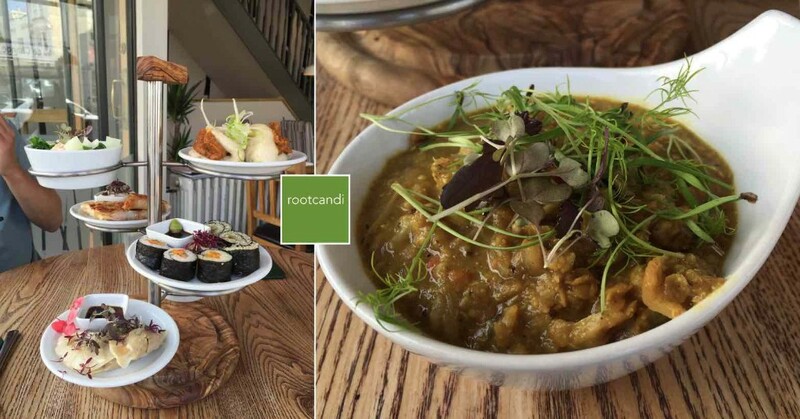 rootcandi is a new vegan tapas restaurant which opened in Brighton earlier in 2016. Having heard rave reviews from a few others and seen numerous tantalising pictures of their food, we decided to give this place a try back in August earlier this year. In 2013, extending into 2014, the Dublin-based Vegan Information Project ran an educational “mini-course” which included talks, workshops, presentations, and film showings. Towards the end of the course, xavier finix gave a number of talks and facilitated workshops on direct action, intersectionality, and the mass media. xavi and Dr. Roger Yates also recorded 5 podcasts about the issues that arose from the course. 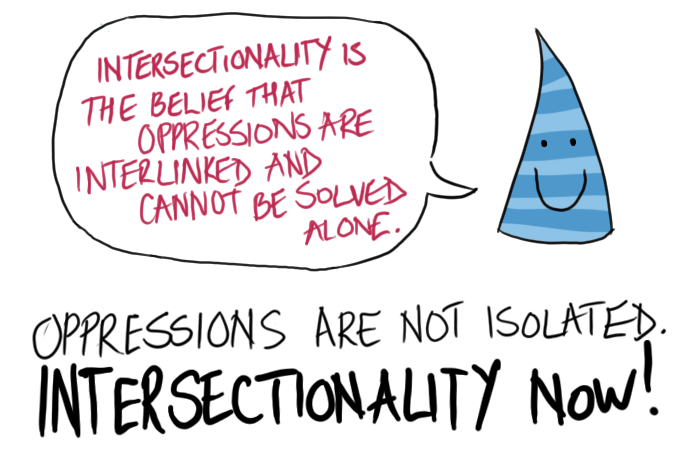 In the run-up to the VegfestUK pro-intersectionality conference in London (October 22nd and 23rd), xavi has given us permission to publish 2 of the podcasts when the focus was on intersectionality. 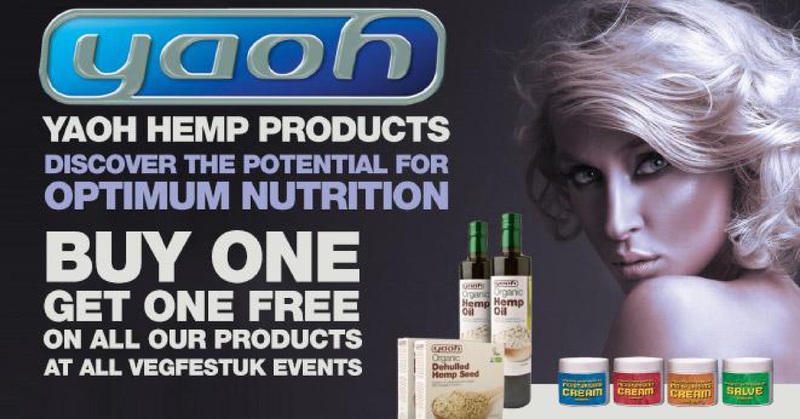 Happy days for all fans of Yaoh hemp products as all Yaoh products at Vegfest Scotland 2016 will be on BOGOF! Born out of passion and frustration, The Juice Garden was created to serve as an alternative to the conventional fast food outlets in our cities. 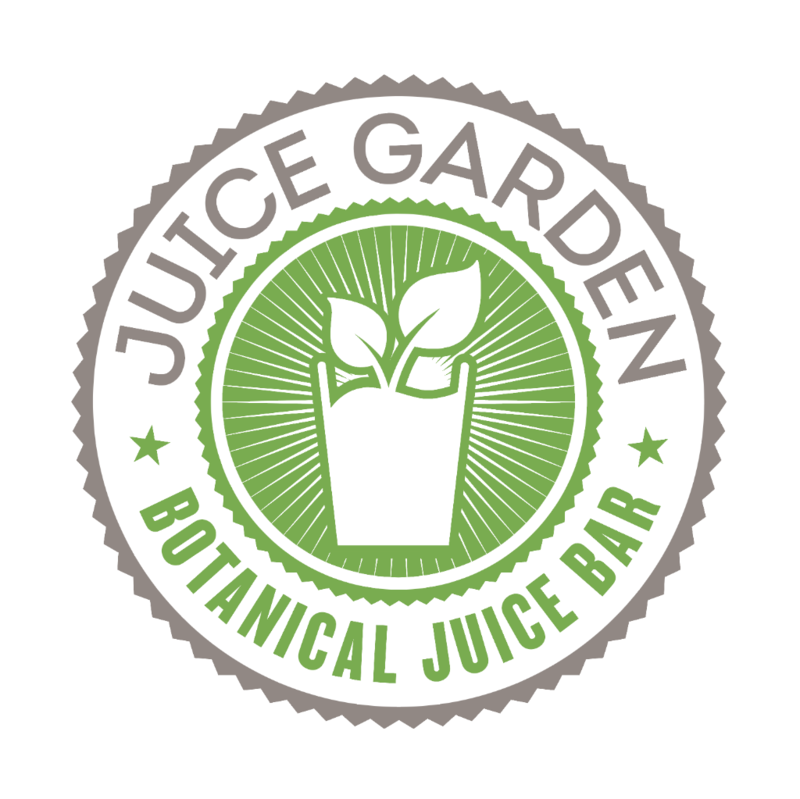 Juice Garden will serve up 100% freshly extracted fruit and vegetable based juices, smoothies, coldpress juice and delicious food. On the menu they have organic rye bread sandwiches, soups, salads, raw deserts and Acia bowls made for you to enjoy in wonderful surroundings. Botanical Juice Bar, Botanical means botanical, fresh means fresh, juice means juice! 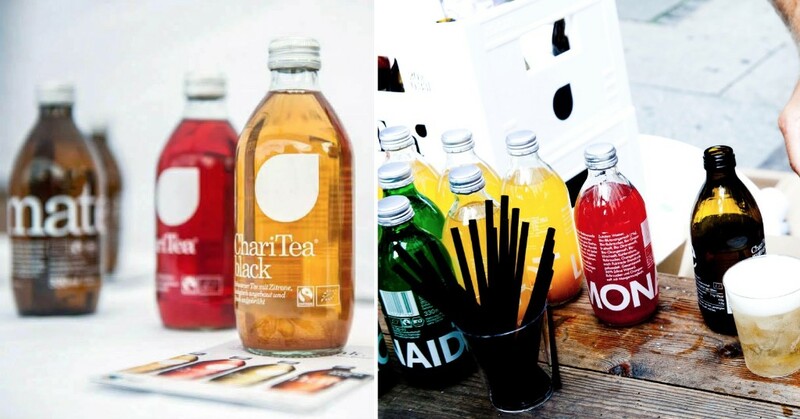 You will not find carton juice at their premises, the value is in the products. Vegan Living is a fresh new magazine, catering for everyone interested in exploring a vegan lifestyle. Glossy, vibrant and stylish, it's packed with delicious recipes, fascinating features and inspiring images and showcases must-have products, ethical fashion and exciting new ways to enjoy a plant-based diet.